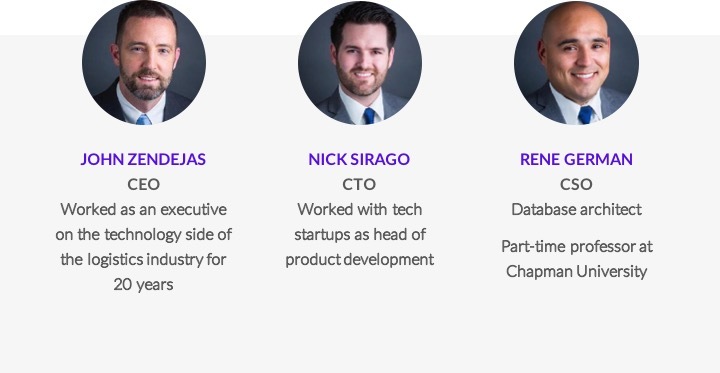 This company may be interested in raising funds from accredited investors. You must Request Access to see more information about this company. Our innovation began from within. We started as a business intelligence tool for delivery companies in 2014. While serving these enterprises, we began to hear about the large enterprises they service. They wanted access to the dashboards. This gave us a brilliant idea: we could aggregate delivery data from all around the country to better serve high-volume shippers. Concise solves these problems by successfully and efficiently utilizing multiple regional carriers across the U.S. 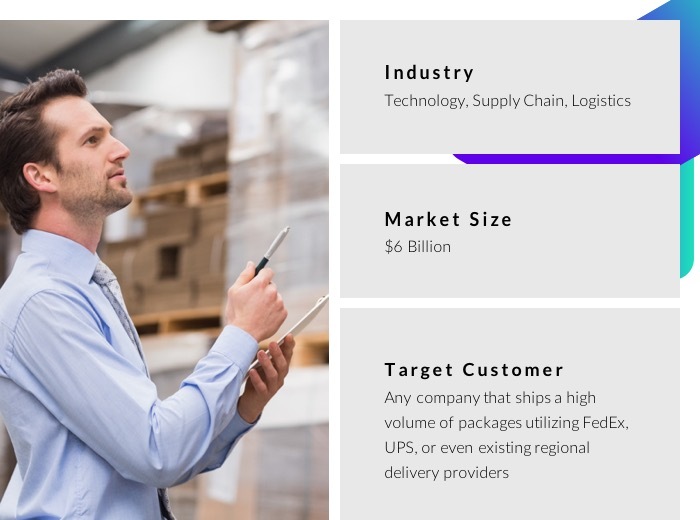 In an industry first, Concise connects with each carrier to create a unified source of truth for the logistics arm of the supply chain. 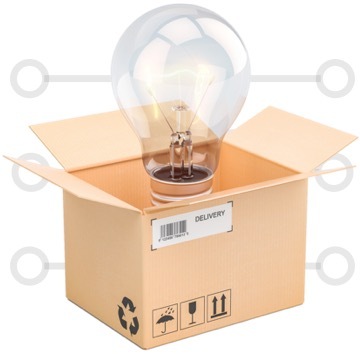 This provides shippers -- and even their customers -- with a centralized system for asset management. 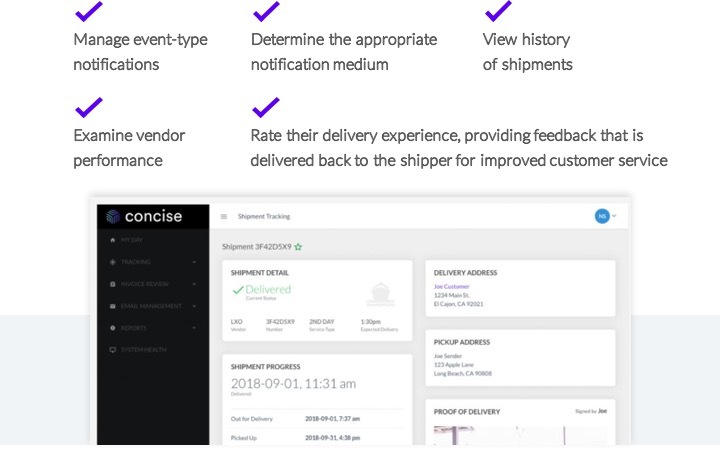 Additionally, Concise provides a unified experience to shippers customers’ seeking to manage or inquire about their delivery, or even post feedback. 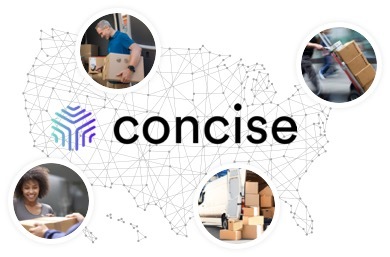 Concise has spent an enormous amount of time and effort creating a carrier network of regional suppliers (delivery company partners) across the US. We require that each vendor we connect with adheres to our data and operational standards, conforming to a set of rules which creates uniformity. Once integrated, Concise can capture near real-time package events. We then automate the entire invoicing process using a system we call Automated Payment Verification (APV). 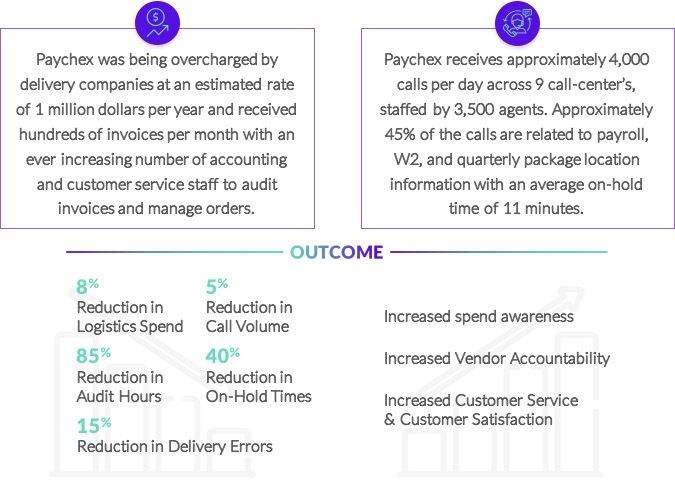 APV seamlessly live-audits all order charges, providing our customers with a value added feature the saves money – a unique and industry first. We are proud to say that Concise won the Paychex account in 2016, beating out Grand Junction and RR Donnelly. The Business Plan area is locked. You must Request Access to this company to see more information including the Business Plan. You must have an account to do this! Copyright © 2019 Startups.com. All rights reserved. Fundable is a software as a service crowdfunding platform. Fundable is not a registered broker-dealer and does not offer investment advice or advise on the raising of capital through securities offerings. Fundable does not recommend or otherwise suggest that any investor make an investment in a particular company, or that any company offer securities to a particular investor. Fundable takes no part in the negotiation or execution of transactions for the purchase or sale of securities, and at no time has possession of funds or securities. No securities transactions are executed or negotiated on or through the Fundable platform. Fundable receives no compensation in connection with the purchase or sale of securities.